Welcome and thank you for wanting to learn more about training programs at the National Institute on Drug Abuse Intramural Resarch Program (NIDA IRP). The Office of Education and Career Development (OECD) at NIDA IRP coordinates these training programs. You can reach us by calling 443-740-2358 or emailing OECD@nih.gov. As you can see below, we have training programs for all educational levels. Using the tabs above, you can read about our investigators and the research they conduct. NIDA is one of 27 institutes that comprise the National Institutes of Health (NIH). Most of these 27 institutes have their own research programs, which is known collectively as the NIH Intramural Research Program. 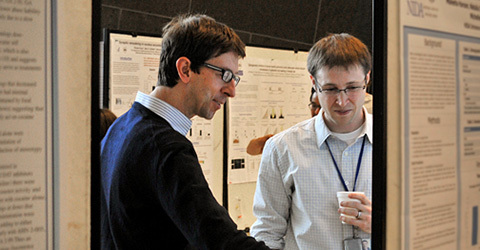 The NIH Office of Intramural Training and Education (OITE) has many career development events for research trainees. The OECD offers similar career development events for our trainees in Baltimore. 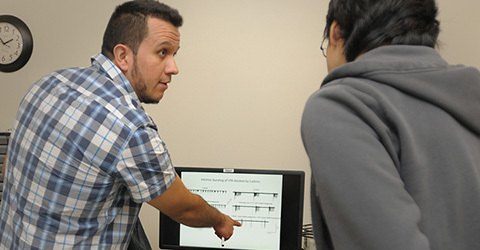 The Scientific Director reviewing a poster with a trainee. 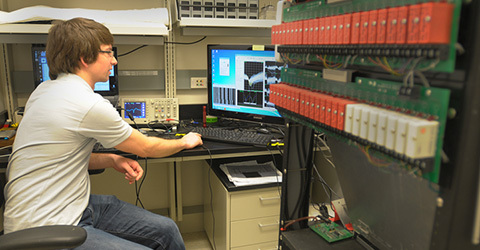 A trainee studies brain imaging. A Trainee pipettes into a tube. Trainee at an IRP poster session. 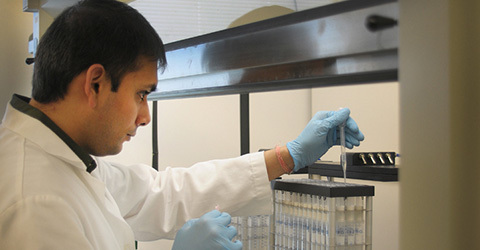 A trainee at work in the lab. 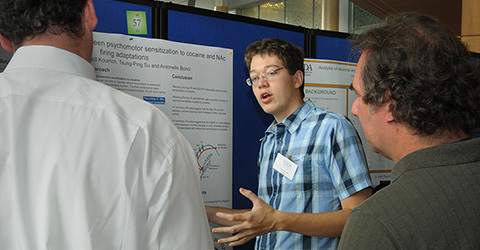 A trainee at an IRP poster session. 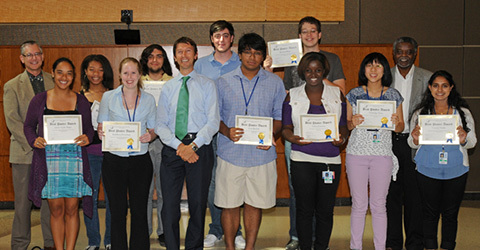 A group of trainees receive awards. 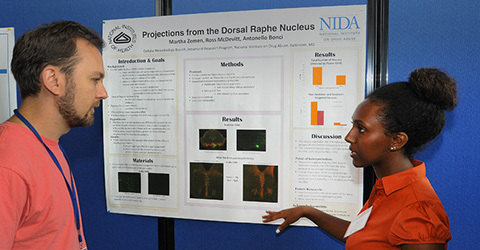 Summer research programs at NIDA IRP are open to eligible students in high school, college, graduate, and professional school. 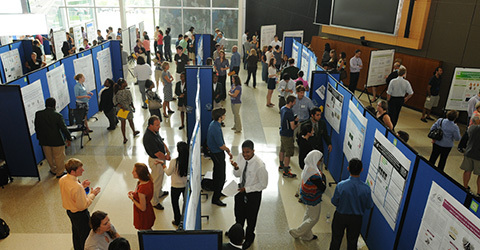 Students spend 8-10 weeks working with a scientist on a biomedical research project and present a poster of their research findings at the end of the summer. The Postbaccalaureate Intramural Research Training Award (IRTA) is a biomedical research program for eligible college graduates who are planning to apply to graduate or professional school. 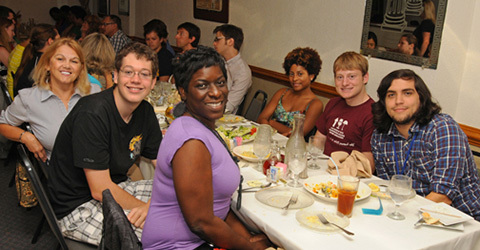 Students spend 1-2 years working with NIDA investigators. The Technical IRTA program is for college graduates who want to develop their skills as research support staff. 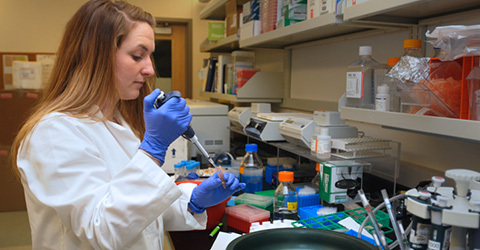 The Graduate Partnership Program (GPP) provides graduate students with the opportunity to conduct all or part of their dissertation research at NIH. 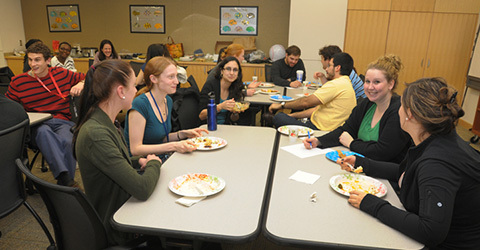 Students come to NIH either as part of formal institutional partnerships or via individual agreements negotiated between their university mentor and an investigator at NIH. Eligible U.S. citizens and permanent residents who have recently received a doctoral degree can complete up to 5 years of research as a Postdoctoral Fellow. Eligible international scholars can conduct up to 5 years of postdoctoral research at the NIH as Visiting Fellows. A Postdoctoral Fellow can be promoted to Research Fellow, which affords an additional 3 years after reaching the 5-year limit of the Postdoctoral Fellow appointment.